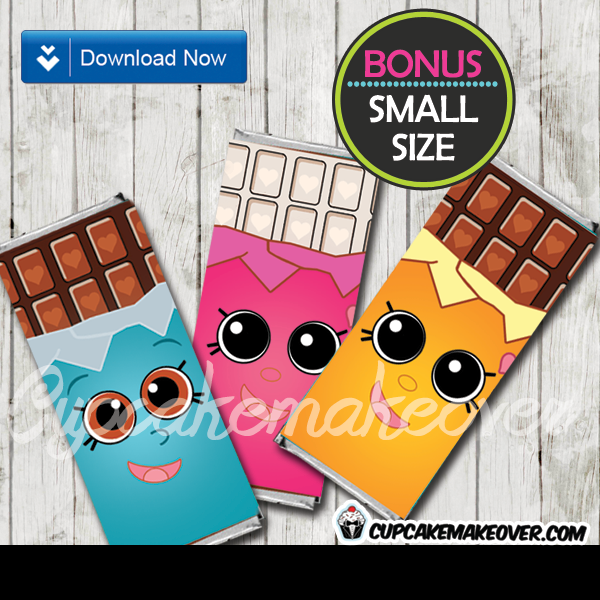 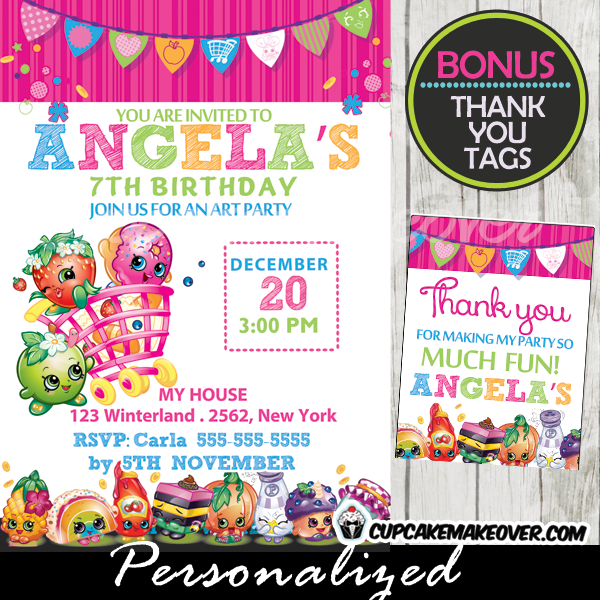 Printable Shopkins favor tags personalized for you offer so many ways to use them! 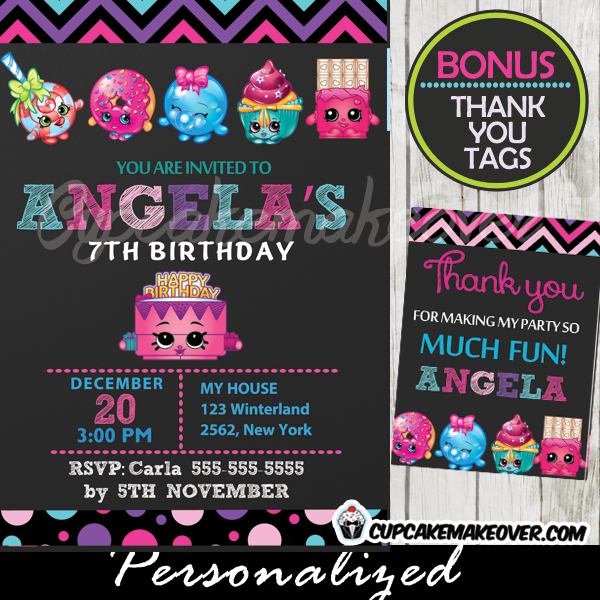 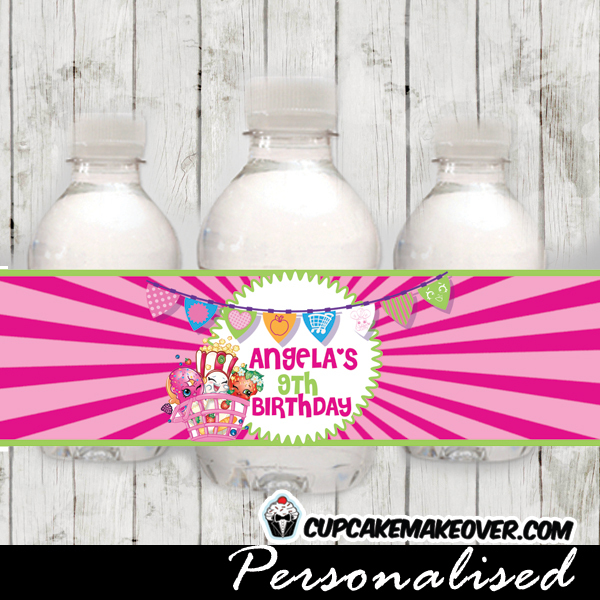 The custom tags feature the cutest characters in a colorful design palette including pink, blue and purple. 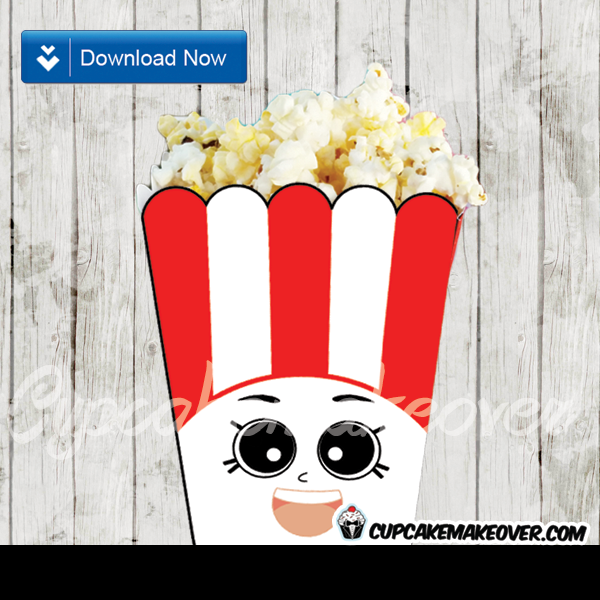 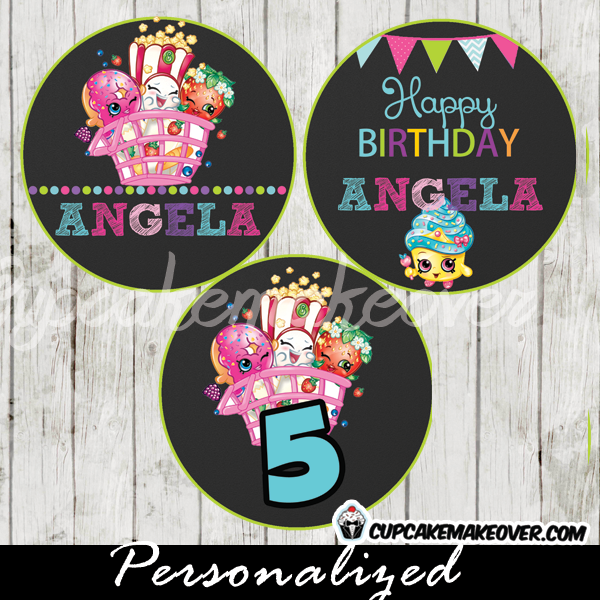 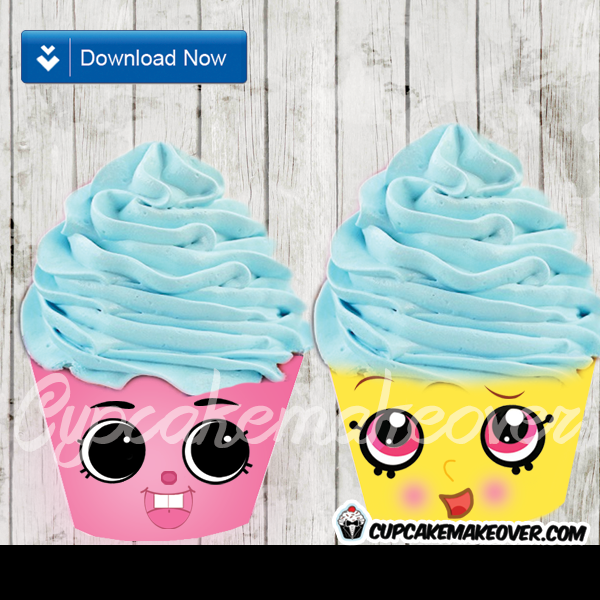 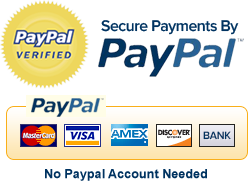 They can be printed on cardstock or sticker paper for a variety of uses including favor tags, gift bag labels, cupcake toppers or custom stickers!